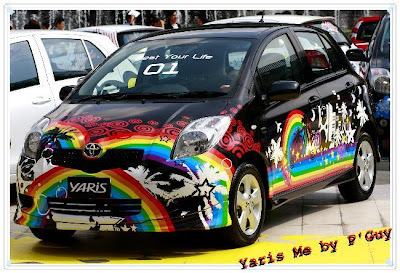 A member over at Yarisworld.com has posted some photos from a Yaris "Wrap Me Contest" in Bangkok, Thailand. People have taken the little Toyota and wrapped them with all kinds of graphics and such. There are some pretty cool wrap jobs, too. Check out the link to the thread on Yarisworld.com below. There's also a link to a story all about the event from Roland's R-World site.